Your help is needed this Wednesday at the LJVM in Winston-Salem for Project Homeless Connect. If you can help, there is a volunteer training tonight(Monday, 4/16). Winston-Salem, NC … On Wednesday, April 18, Project Homeless Connect, a one-day outreach program, will offer in one location information about employment, housing, job training, education, substance abuse, emergency assistance, Social Security, veterans benefits, legal assistance, and more to assist the homeless, and those facing the loss of their home, in Winston-Salem and Forsyth County. 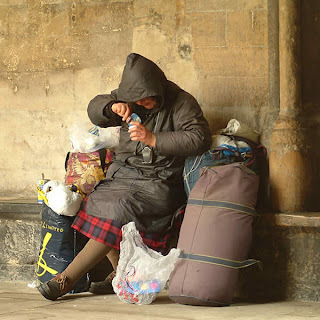 In addition, Project Homeless Connect will offer the homeless help with immediate needs, including showers, haircuts and food. Transportation will be available to the event from sites around the city. The event will be held from 8 a.m. to 3:30 p.m. at the LJVM Coliseum Annex, 414 Deacon Blvd. Project Homeless Connect is being sponsored by the United Way of Forsyth County, the N.C. Interagency Council on Homelessness, Kilpatrick Stockton LLC, and the City of Winston-Salem. It is being coordinated by the Ten-Year Plan Commission to End Chronic Homelessness and the Winston-Salem Council on Services to the Homeless. For more information about the event, volunteering or for transportation, call 721-9378.